The Feline Medical Clinic is a well-established, full-service feline veterinary hospital in Vancouver, WA that provides comprehensive medical, surgical, and dental care for cats. Our cat-friendly clinic provides a broad spectrum of diagnostic procedures through in-house testing and the use of external laboratories. Our staff also works closely with local practices when special diagnostic procedures are required. Our cat care clinic in Washington includes a well-stocked pharmacy, a sterile surgery suite, in-house digital x-ray capabilities, a closely supervised hospitalization area, and isolation ward, three exam rooms, and a lodging room. At the Feline Medical Clinic, we strive to offer sound advice and optimal veterinary care to ensure our clients enjoy the companionship of their pet for many years to come. Our experienced and friendly staff will treat your cat when they are sick and help you learn how to keep your furry friend happy and healthy at home. We understand that the bond between owner and cat is special, and we work to preserve that bond to the fullest at our cat-friendly clinic. Learn more about the doctors and staff employed at our veterinary hospital in Vancouver, WA below. If you are interested in visiting our cat care clinic in Washington, call us today at (360) 892-0224 to schedule an appointment. 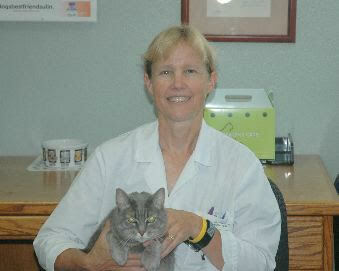 Carrie Burhenn joined the practice on July 7, 1990 as a full time veterinarian. She received her degree in Veterinary Medicine from Oregon State University in 1990. In 1998, she received the specialty certification, diplomate ABVP feline practice. Carrie enjoys working at the Feline Medical Clinic because of the combination of clients, cats and staff that support each other in the common goal of improving our pet's lives through progressive medicine. She currently owns two young cats, Walter and Mara. Both were originally unwanted stray kittens but found a new life via foster homes. They now live in total comfort and luxury with more toys than they could ever destroy. Carrie spends her free moments collecting old books on Africa, painting, making life-size paper mache camel head sculptures (and other eclectica). She also enjoys bicycling/touring and international adventure traveling to learn more about other people and cultures. 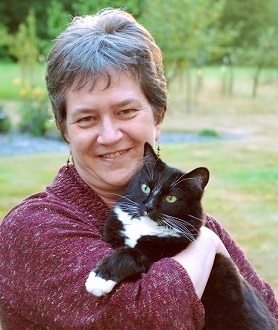 Cathy King has been with the Feline Medical Clinic since 1991. She received her BS in Biology and Animal Science in 1986 from Oregon State University. In 1991, she received her Veterinary Medicine degree from the University of Minnesota. Witnessing the animal-human bond experiences, meeting the variety of cats and their owners, and hearing stories from clients about their cats are what Cathy values most as a clinic doctor. She also takes pleasure in working closely with our great staff. When she's not being a dedicated veterinarian, Cathy enjoys being a dedicated wife and mom -- watching her two daughters, Lindley and Robyn, play various sports, reading, cooking and baking. Cathy has four cats: Smokey, Jitterbug, Java Creme and Chisomo. She also has one dog, an Australian Shepherd named Dottie. 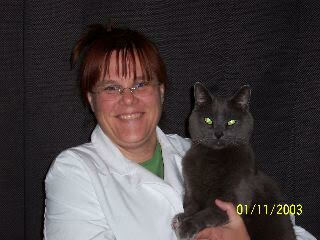 Christy Novick joined the Feline Medical Clinic team in August, 2008, as a full-time associate. She graduated from the University of Minnesota College of Veterinary Medicine in 2008. She also earned a Master of Public Health degree from Minnesota in 2011, and a Bachelor of Science degree in biology from the University of North Texas in 2004. She has a special interest in Traditional Chinese Veterinary Medicine and completed a certification in Veterinary Acupuncture from the International Veterinary Acupuncture Society in 2014. Christy loves general practice, especially being able to build relationships with clients and families, and being able to help them through all stages of their cats lives. She also enjoys the opportunity to learn something new everyday and loves being a part of the great FMC team, where everyone is caring and loves the cats. Christy belongs to the AVMA, AAHA, AAFP and WSVMA. Christy has 2 cats: Paige and Kobe, a dog; Torden, a Ball Python named Lucifer and a yellow-naped Amazon parrot, Son of Birdhead. Christy shares her home with her husband Harris, her mom Laurie, and her sister Jennifer. When she's not working, Christy enjoys spending time with her husband and their pets, hiking, watching NFL and NASCAR, and reading historical mysteries. 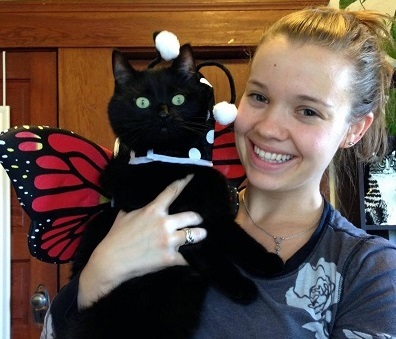 Zaya McSky joined the Feline Medical Clinic team in July 2015. Zaya grew up in Southern Oregon and always knew she wanted to settle in the Pacific Northwest. Wanting to see more of the country, she attended the University of Vermont in Burlington, Vermont and received her BS in Animal Science in 2011. After college, she moved back to Oregon to attend the Oregon State University College of Veterinary Medicine. During veterinary school, Zaya had the opportunity to travel to South Africa twice with a team studying diseases and parasites in African lions. Despite enjoying her work with wildlife, Zaya has always loved working with people while providing care for their pets. Zaya’s cat, Kona, opened her eyes to the wonderful world of felines and ever since Zaya has wanted to work with cats. Finding the Feline Medical Clinic has been a dream come true for Zaya; not only are the cats wonderful but the team is amazing. In her free time, she enjoys reading, playing on a competitive Australian rules football team in Portland, gardening, playing with Kona, and volunteering in the community with her therapy dog Pepper. Zaya and Pepper (a shelter dog) became a registered therapy dog team in 2016 and volunteer almost weekly in the community. Zaya shares her home with Kona, Pepper, her boyfriend Travis, five chickens, and many fish.